It's here. After a delay of nearly two months, summer has arrived in the Northeast, and it is one hot and angry season now. There is a theory that you can trick your body into feeling cool and refreshed by sipping on chilled soup that zings with the heat of hot chile peppers. There is also another theory, that if you fall off a horse, you need to get back on to avoid the trauma that will haunt you for the rest of your life. I am tackling the second theory first: my horse is the habañero chile. It's been two years since a sassy, fearless, and smug me slit open a clutch of cherry bombs without gloves on. I've never, despite the warnings, ever protected my hands against the volatile oils measured in various Scoville Units that spit at you while preparing any sort of hot pepper. I knew enough not to rub my eyes or mouth with my fingers, but the gods were snickering at me when the fumes rose up from under the running faucet where I was cleaning out the seed cavities. I needed a respirator. Seriously. The pain was real and merciless. Drinking anything just spread the misery. I laid on the couch for half an hour, weeping tears, not of onions, but of terror. There was nothing to do but wait it out. Do not try this at home. I would probably still be stuck in time, nursing my self pity, had this month's No Croutons Required not put out the call for pepper recipes. I've never been one to opt for the easy way out and am always on the prowl for new culinary horizons. An Internet search quickly brought up this recipe. At first I had palpitations, especially when I read that it called for four to six of the fiendish fireballs, and even more so when I read the intro, which was a reassurance not to be alarmed by the number of chiles. So I felt the fear and did it anyway, my way, by reducing it down to just one chile. I'm not going to lie to you. Even this level of heat has enough cumulative kick to smoke your sinuses, enough so that you will no longer feel those wretched summer temperatures suffocating you. Which just goes to prove that that other theory is correct, too. This recipe will have you blowing hot and cold. Roast bell peppers over an open flame until uniformly charred, holding and turning them with a long-handled metal fork or tongs. If roasting indoors, ensure that your kitchen is well ventilated. Place charred peppers in a paper bag and fold over to seal. Set bag aside for at least ten minutes. Remove peppers from bag to a cutting board. The peppers will be collapsed and easy to peel. Discard the stems, membranes, seeds, and skins. Prepare the habañero chile. Wearing disposable latex gloves and distancing your face as much as possible from your work area, cut off chile stem, then cut chile in quarters, trimming away membranes and seeds. Carefully discard these, ensuring you do not touch your face (especially your lips and eyes) with your hands. Finely chop chile and transfer to a small, dedicated bowl. Set aside. Carefully peel off gloves inside out from your hands and drop them directly into the garbage bin. Wash hands thoroughly before continuing. This recipe is for Jacqueline of Tinned Tomatoes who co-hosts No Croutons Required, the monthly vegetarian salad and soup event, with Lisa of Lisa's Kitchen. The August theme is peppers. Frozen Mocha Marlow (recipe below). Every season has its special culinary celebrations: crisp, tart apples in autumn; bubbling, crusted pot pies in winter; and buttery leaf lettuces in spring. Summer heralds its own splendors. Here, I chronicle but a few of mine. What delectable, healthy or hedonistic, comestibles are you enjoying, wherever region you reside in, whatever season is visiting you now? Juicy, sweet melons (Ambrosia variety). Juicy, acidic tomatoes (Black of Tula variety). A marlow is a melted marshmallow dessert dating back to the late 1800s, and a popular early recipe for ice cream. Its texture is like a luxurious mousse with a very rich, lingering mouth feel. Best enjoyed with strong, clear, unsweetened tea, black coffee, or ice water. In the top vessel of a double boiler over slowly simmering water, melt the chocolate. Slowly stir in the coffee with a wooden spoon. The mixture will be streaky, not smooth. Add marshmallow quarters, stirring constantly until they are melted. Remove from heat and pour into a large bowl. Using a whisk, beat mixture until smooth. The texture will be somewhat elastic. Allow to cool. * Freezing times vary depending on your appliance setting, as well as how crowded your freezer is. Thank you, dear Hema. 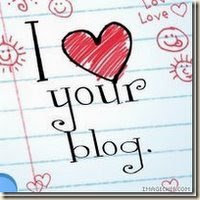 There are far too many blogs which I love for a variety of reasons. Rather than attempt to list them all at the risk of leaving anyone out, allow me to assure you that my regard for you is more than just a summer fling. My Legume Love Affair, the popular bean-centric event now in its second year, is stopping here at The Well-Seasoned Cook, where it all began. Hosting my own event is a special treat for me. The queue is long with guest hosts, and I have tried very hard to accommodate every request while making an appearance, however irregularly. I am forever thankful for the enduring creativity, support and good will this event has enjoyed throughout the months, and I have no doubt that August will spoil me with dozens of delightful dishes from around the world that tempt the tastebuds and spark new horizons in culinary adventure. Use of the logo is optional. I am happy to accept more than one recipe per cook as well as those submitted to other events. Those who do not blog are also welcome to join and will be included in the random drawing. Friends and family of hosts are not eligible to win. 1) The New Food Lover's Companion - My personal choice and purchase, which I will ship worldwide. Depending on volume of recipes, I expect to have the round-up online first week of September.